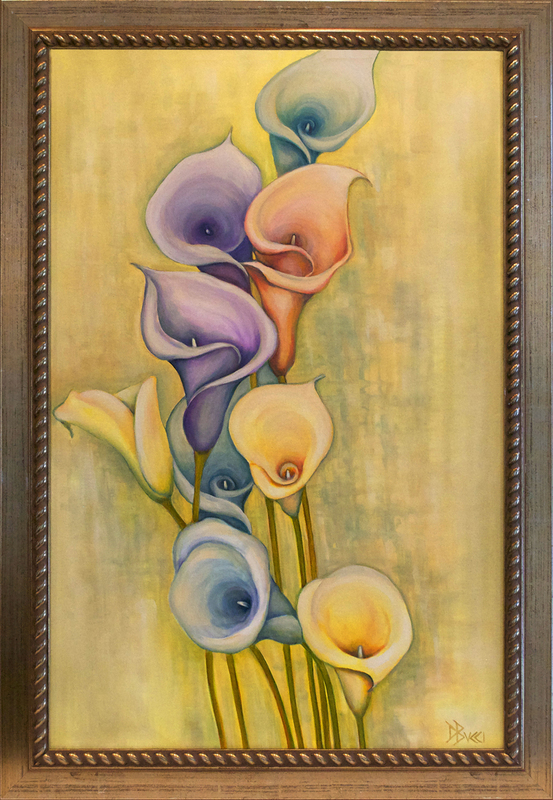 Deb's Thoughts: Calla Lilies are typically presented in white but I wanted to celebrate the array of different colors. The telescopic depth, smooth surface and flowing curves are an artists dream. This painting is sensuous. The lightly brushed gold wood frame is included. The final size including the frame is 29.5" x 41".